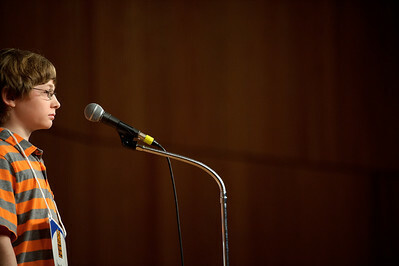 Daniel J. Murphy - dmurphy@shawmedia.com McHenry Middle School's Lucas Urbanski, 12, spells "carafe" in the 11th round of the McHenry County Spelling Bee Wednesday March 7, 2012 at McHenry County College in Crystal Lake. Lucas went of to win in the 29th round. Daniel J. Murphy - dmurphy@shawmedia.com Northwest Herald Editor and Master of Ceremonies, Dan McCaleb, reviews the rules before beginning of the McHenry County Spelling Bee Wednesday March 7, 2012 at McHenry County College in Crystal Lake. Daniel J. Murphy - dmurphy@shawmedia.com SS. 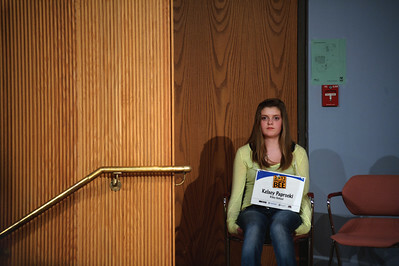 Peter and Paul Catholic School's Scarlett Costello collects her thoughts before misspelling "boulevard" in the 15th round of the McHenry County Spelling Bee Wednesday March 7, 2012 at McHenry County College in Crystal Lake. 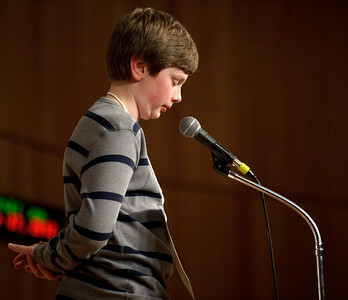 Daniel J. Murphy - dmurphy@shawmedia.com McHenry Middle School's Lucas Urbanski, 12, spells a word in the McHenry County Spelling Bee Wednesday March 7, 2012 at McHenry County College in Crystal Lake. Daniel J. Murphy - dmurphy@shawmedia.com Family and friends congratulate Lucas Venetucci, 12, after winning the McHenry County Spelling Bee in the 29th round Wednesday March 7, 2012 at McHenry County College in Crystal Lake. 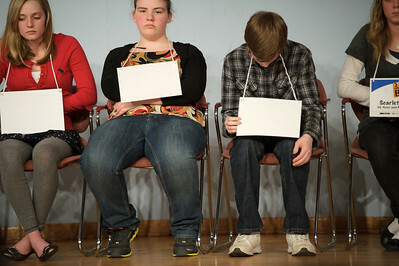 Daniel J. Murphy - dmurphy@shawmedia.com McHenry Middle School's Daniel Venteucci (right) bows his head after after misspelling "gardenia" in the McHenry County Spelling Bee Wednesday March 7, 2012 at McHenry County College in Crystal Lake. 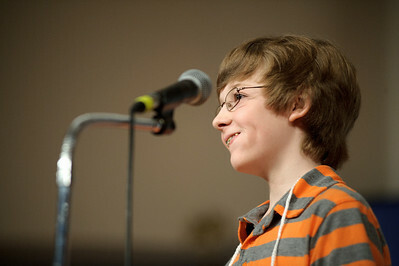 Lucas Urbanski went on to win the competition in the 29th round. Also pictured Tess Devinger (left) and Brianna Nims (center). 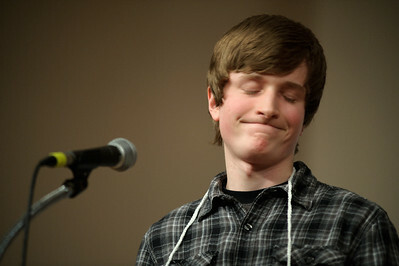 Daniel J. Murphy - dmurphy@shawmedia.com Nippersink Middle School's J.R. Gomall incorrectly spells a word in the 17th round of the McHenry County Spelling Bee Wednesday March 7, 2012 at McHenry County College in Crystal Lake. Daniel J. Murphy - dmurphy@shawmedia.com McHenry Middle School's Daniel Venteucci is eliminated after misspelling "gardenia" in the McHenry County Spelling Bee Wednesday March 7, 2012 at McHenry County College in Crystal Lake. 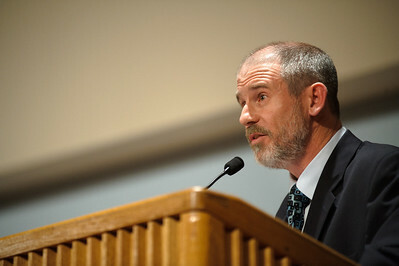 Lucas Urbanski went on to win the competition in the 29th round. Daniel J. Murphy - dmurphy@shawmedia.com Riley School's Kelsey Paprocki takes a seat after misspelling "indigenous" in the 23rd round of the McHenry County Spelling Bee Wednesday March 7, 2012 at McHenry County College in Crystal Lake. 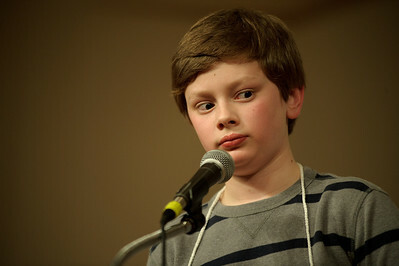 Daniel J. Murphy - dmurphy@shawmedia.com St. John the Baptist Catholic School's Nickolas Riedel correctly spells "philanthropy" in the 11th round of the McHenry County Spelling Bee Wednesday March 7, 2012 at McHenry County College in Crystal Lake. Lucas Urbanski went on to win the competition in the 29th round. Daniel J. Murphy - dmurphy@shawmedia.com McHenry Middle School's Lucas Venetucci smiles after winning the McHenry County Spelling Bee in the 29th round Wednesday March 7, 2012 at McHenry County College in Crystal Lake. Daniel J. Murphy - dmurphy@shawmedia.com St. John the Baptist Catholic School's Nickolas Riedel misspells "cheka" in the McHenry County Spelling Bee Wednesday March 7, 2012 at McHenry County College in Crystal Lake. Lucas Urbanski went on to win the competition in the 29th round. 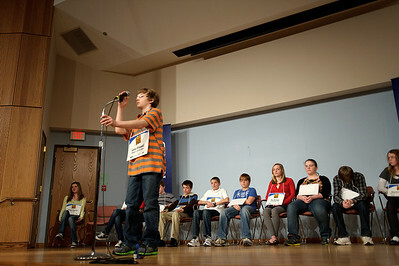 McHenry Middle School's Lucas Urbanski, 12, spells "carafe" in the 11th round of the McHenry County Spelling Bee Wednesday March 7, 2012 at McHenry County College in Crystal Lake. Lucas went of to win in the 29th round.